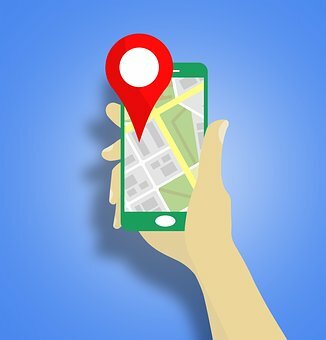 Every Tampa home buyer has heard it and every Tampa Realtor has said it: “location, location, location.” But what does that really mean? If you’re looking to buy a Tampa home for sale you most likely have a personal wish list for nearby conveniences. To help you consider what you need nearby and what you’d just really love to be just a short distance away, Tampa Realtor Sandy Ernst has compiled the following list of necessities and niceties to consider with the location of your new home. Most Tampa homes for sale are located within a short drive of the basics including shops, restaurants, grocery stores, etc. But are these the stores that actually meet your specific needs? Some people like Publix while others like Fresh Market. As your Tampa Realtor presents possibilities decide on a personal/practical level which nearby amenities realistically meet your specific wants and needs. While this can be an obvious convenience for those with school aged children, even those not needing a nearby school can be impacted depending on location. If there is a school near the Tampa home you’re considering be aware of lower speed limits during school hours, traffic congestion, and buses that may make frequent stops. When searching locations to buy a Tampa home research nearby doctors, dentists, optometrists, chiropractors, and other medical professionals that you may need now or in the future. Beyond proximity determine which insurance providers they accept because there may be issues if they don’t accept your insurance meaning it could become a lengthy, inconvenient drive to see your healthcare provider. A big box grocery store stocks basic pet supplies but there may be specific items you need that only a veterinarian or specialty pet store will offer. Further, for the well-being of your pet, you may want to live close to a veterinarian, pet store, or even an animal hospital. While it’s always nice to have emergency services such as the fire department or police station close by also consider the siren noise levels due to fire trucks, police cruisers, and ambulances. Weighing the pros and cons of proximity to these emergency services is a personal choice which can help you determine which location may be best for your new Tampa home. Depending on location, for Tampa residents there are essentially two cable sources for Internet connectivity – Spectrum and Frontier. In some neighborhoods there may be only one choice available. This may not be a make or break a deal but if you have a strong preference or don’t want the hassle of changing provider it can impact your choice of location for your Tampa home purchase. The perfect location for each Tampa home buyer is a personal decision. While working with your Tampa Realtor share your wish list at the beginning to enable your real estate agent to find the best location that checks your boxes for a great lifestyle.